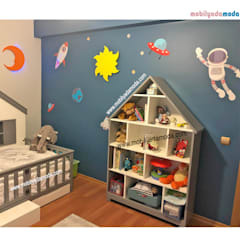 · Newborn to 6 months: This is when baby will sleep the majority of the time, which means plenty of pillows, cushions and blankets are required, as well as a suitable crib/cot or cradle. Don’t forget a changing table and mattress protector. · 4 – 8 months: During this time you might start to use that rocking chair for rocking baby to sleep. And let’s not forget the crucial dresser and other storage areas to keep nappies, feeding bibs, blankets and a host of other goodies. · 9 – 12 months: Baby is starting to get more mobile now, which means vital safety measures (in the nursery and the rest of the house): baby-proof gate locks for stairs, corner guards, toilet locks, latches to keep cabinets and drawers shut, etc..
Of course part of the fun of decorating baby’s room is playing with themes and colours – will you go the traditional route and pick blues and greens for a boy’s room (and pinks and purples if it’s a girl), or try to keep it neutral by picking, say, a farm-animal theme to adorn the entire room in a multitude of friendly colours and patterns? 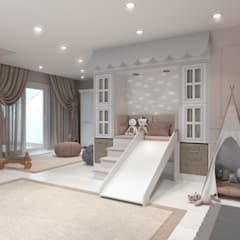 Remember that the style is not only meant for toys, but can also be mirrored in just about everything else in the room, like wall decals, floor rugs, scatter cushions, feeding bibs, etc.. 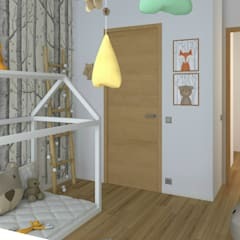 Remember that it’s not just about nursery décor to make the room look cute—it also needs to be fully functional and practical, seeing as baby (and you) will be spending a lot of time there. · Make sure everything you could possibly need is within easy reach of the changing table – diapers, wipes, changeable table covers, trash bin, poop bucket, burp cloths, etc. 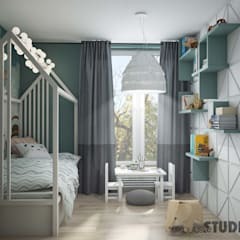 · As you’ll be carrying your little one back and forth, sometimes in the middle of the night, you don’t want to bump against a misplaced chair or a book on the floor. 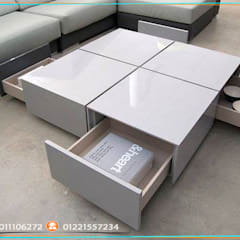 Make sure there’s ample legroom for walking and that you have lots of functional storage space. 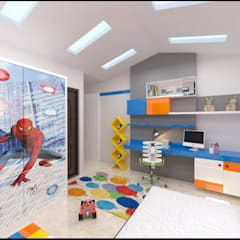 · Washable wallpaper is not such a bad idea, especially if you’ll be raising a little boy! 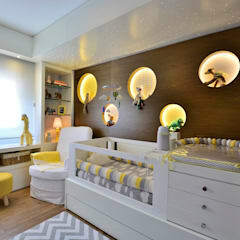 · Make sure the lighting in the nursery can mimic night-time, even during the sunniest afternoon. That means getting a heavy curtain, drape or window shade to fake darkness when it’s time to nap. · Safety. Your baby will still have soft spots on his/her head, which means that cot needs to be soft, have too-little distance in-between the bars so that baby can’t stick their head through, be sturdy so that it doesn’t wobble, and not be painted with lead paint. · Style. Some cots can “grow” with your baby, becoming toddler beds as they need to. Although such an adjustable model will be more of an investment at first, you will definitely save more money down the line. · The mattress. Not all cots come with mattresses, and it might be a good idea to purchase both mattress and cot at the same store, seeing as different stores can sell different sizes. 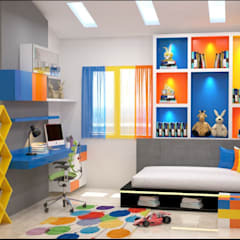 Also ensure that the mattress is adequately soft, has a firm foundation and is well ventilated. · Your back problems. Many cots come with adjustable bases as well as a drop side, which will ensure that you don’t need to bend very far down every time you must pick baby up from the crib. · Your lifestyle. Planning on having dinners away from home or going away for weekends? Then an additional lighter, camping cot is a must to ensure baby travels in comfort. · Never place the cot/crib/bed near a window, as even small babies can strangle themselves on curtain- or blind cords. A toddler can also fall through a window while jumping on a bed. · As soon as baby can stand, adjust the base of the cot to its lowest position and remove all mobiles and other unsafe toys within reach (most babies have outgrown their cots when they’re about 90cm tall). · Never use electric blankets or heating pads in a small child’s cot/bed. · Never leave your baby unattended on a changing table – always keep one hand on his tummy. · To avoid baby choking, keep him/her away from toys with small parts that can come off easily. 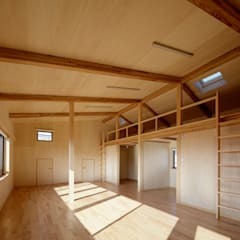 · Keep nightlights away from the edge of tables and shelves. 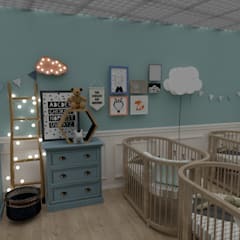 As baby’s eyes are still adjusting to the world, never use harsh lighting in his/her room, especially ones that are located directly above the crib. A small accent lamp is always a nice touch for a cosy, story-time glow. 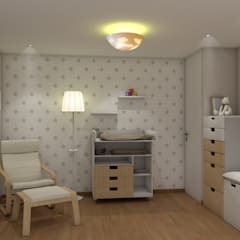 And don’t underestimate nightlights, as they provide both safety and comfort, especially during late-night feedings. 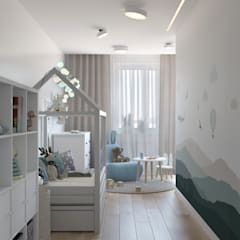 Whether you are in need of crib/cot ideas, inspiration for baby room décor, examples of wallpapers for nurseries, or simple baby boy/girl room ideas, homify provides an ever-growing collection to provide what you seek. 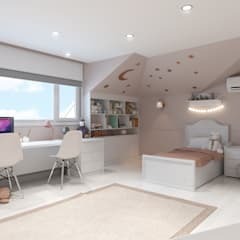 And don’t forget that we also help to put you in contact with professionals in the building- and design world, such as architects and interior designers, to help you achieve the right style according to your tastes (and budget).